iSalon of Burlington offers 3 types of manicures – acrylic, gel and SNS – as well as basic manicures and polishing. Whether you simply need to have gorgeous nails for a single event or want to have stunning nails for several weeks, our nail technicians are sure to create the look you want and need. In the event that you want just want a simple finish of polish we offer a wide list of colors from OPI, and have skilled nail techs who are happy to only polish, or add nail art to give it that extra special touch. Any of these three nail finishes can be combined with tips, be shaped as you prefer, or include French tips. Gels are available in virtually any color, will last for at least two weeks, and can be applied in about an hour. The gel is applied to the nail and then made hard by being cured under a UV or LED lamp. Depending on how you treat your hands and your body chemistry, gel nails will last 2 to 3 weeks before needing to be re-applied. 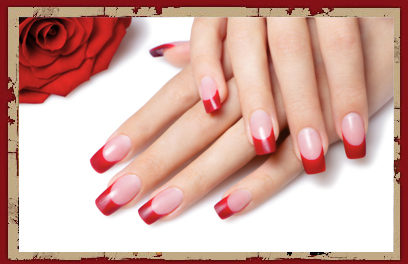 Acrylic nails have long been a part of the manicure scene due to their strength and versatility. Acrylic nails are crafted using a liquid and a powder which become a paste like substance that is spread over the nail. When hardened it can painted and enhance with any color or nail design you want. Like gels and SNS, acrylic nails will last between two and three weeks – depending on nail growth and what type environment your hands are exposed to. As a relative newcomer to the manicure scene, SNS is accomplished by applying a liquid base to the nail and then dipping the nail into the color powder. This color powder is available in many colors, including those with glitter, color changing and mattes. It can also be enhanced with nail art, allowing you totally customize your look. The process takes about an hour to complete. All of our manicures include a hand massage and scented oil at the end of the process, to help your hands relax and enhance your hands health. To get your nails looking their best, make an appointment with one of our nail technicians at iSalon of Burlington or feel free to just stop by and we will work you.